W. G. (Winfried Georg) "Max" Sebald was a German writer and academic. He was being cited by many literary critics as one of the greatest living authors and had been tipped as a possible future winner of the Nobel Prize in Literature. Sebald's works are largely concerned with the themes of memory and loss of memory (both personal and collective) and decay (of civilizations, traditions or physical objects). They are, in particular, attempts to reconcile himself with, and deal in literary terms with, the trauma of the Second World War and its effect on the German people. In On the Natural History of Destruction (1997), he wrote a major essay on the wartime bombing of German cities and the absence in German writing of any real response. His concern with the Holocaust is expressed in several books delicately tracing his own biographical connections with Jews. His distinctive and innovative novels were written in an intentionally somewhat old-fashioned and elaborate German (one passage in Austerlitz famously contains a sentence that is 9 pages long), but are well known in English translations (principally by Anthea Bell and Michael Hulse) which Sebald supervised closely. They include Vertigo, The Emigrants, The Rings of Saturn and Austerlitz. They are notable for their curious and wide-ranging mixture of fact (or apparent fact), recollection and fiction, often punctuated by indistinct black-and-white photographs set in evocative counterpoint to the narrative rather than illustrating it directly. His novels are presented as observations and recollections made while traveling around Europe. They also have a dry and mischievous sense of humour. Sebald was also the author of three books of poetry: For Years Now with Tess Jaray (2001), After Nature (1988), and Unrecounted (2004). Patience (After Sebald) is a multi-layered film essay on landscape, art, history, life and loss - an exploration of the work and influence of WG Sebald, told via a long walk through coastal East Anglia tracking his most famous book The Rings Of Saturn. The source material for the soundtrack was sourced from Franz Schubert's 1827 piece Winterreise and subjected to his perplexing processes, smudging and rubbing isolated fragments into a dust-caked haze of plangent keys, strangely resolved loops and de-pitched vocals which recede from view as eerily as they appear. 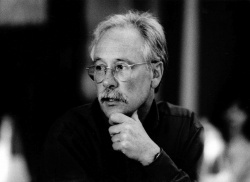 The Guardian Profile: WG Sebald, by Maya Jaggi, 2001. Sebald's last interview, Guardian, 2001.